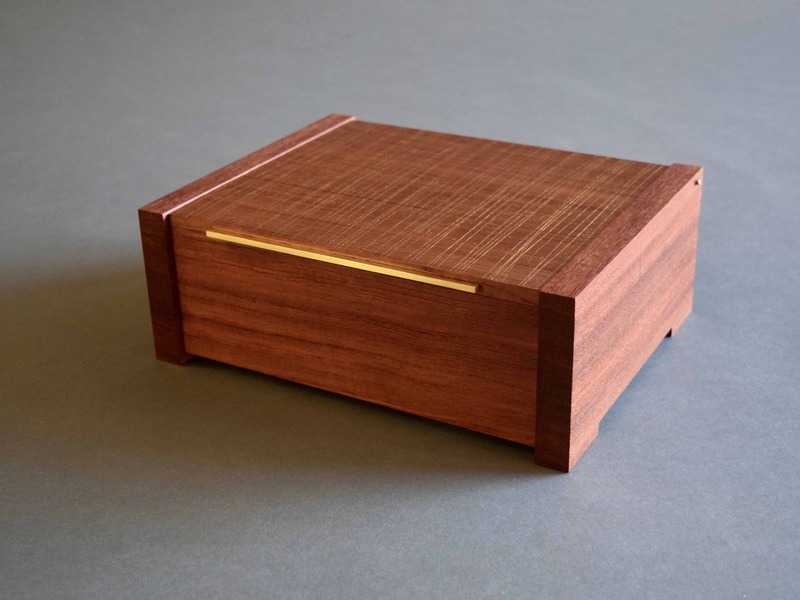 This box is made of Bubinga, a dense, tropical hardwood and black walnut. It features a removable sliding drawer. 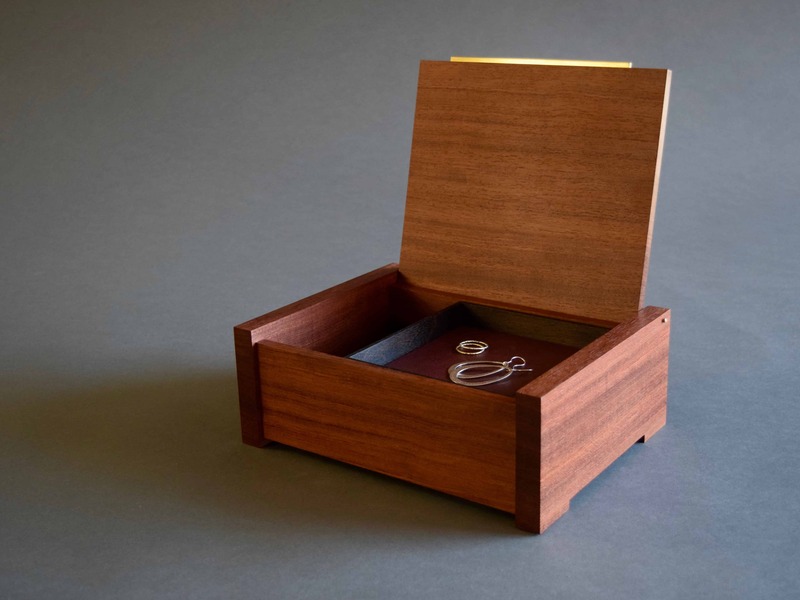 Both the box and the drawer are lined with burgundy leather. The top is textured and etched with a gold wash and has an inlaid brass handle. Apparent beneath the etching are discernible fragments of a poem, thus the palimpsest. 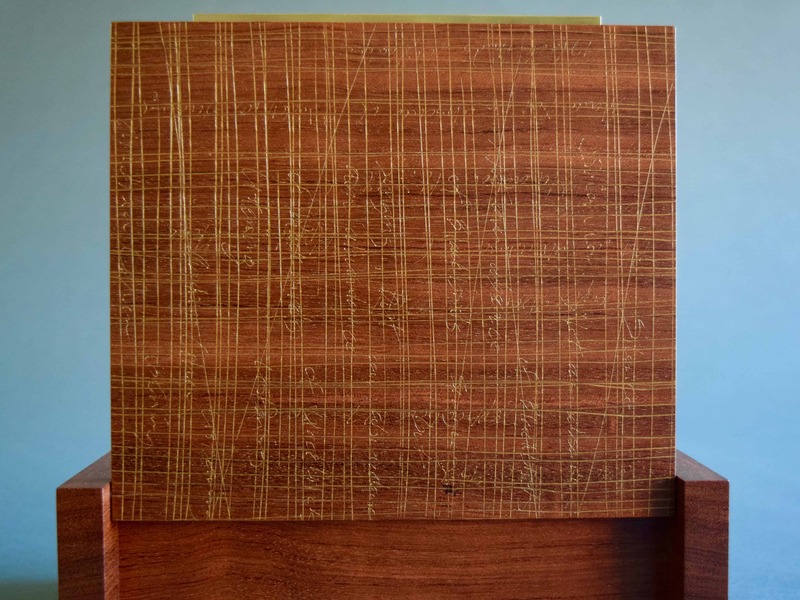 This is a finely crafted object, smooth and lustrous to the touch. To order, contact me via email.